Good looking, stylish and comfortable boot. Stylish, perfect for colder weather and rain!!!!! Flyest dude in the office!! Watersistant, warm, light and comfortable! What else can you ask for in a winter boot? I purchased these to use during cold winter days and when the snow is not piled up to high. So far they have been great! I have a hard time wearing boots as they usually dig into the bag of my leg. These boots are probably the best fitting boots I've ever purchased. The fit great and more importantly they look great. I average at least 2 to 3 compliments every time I wear them out! Who knew people really do look at what you wear?!?!?! Most comfortable shoe I’ve found for work and my bad ankle, boot will stretch some if needed. I’m 300 pounds and on my feet all day, these boots are more comfortable than running shoes. Several hundred miles, time for a shine! I would difinatley recommend these for anyone looking for a comfortable boot with great style. I recieve compliments daily about these hikers. I bought the British tan version with the off white soles and love them. I don’t like the black version as much. The black leather and black sole don’t look as well as I thought. A black version with a grey sole would be better. Love them. Very stylish and fit true . Honestly, just buy the damn thing!! Super light weight and supportive. You can wear this boot all day with zero fatigue. Took a chance on these. The best walking shoes I have ever owned. Period. 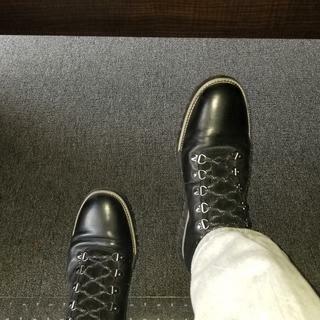 I’m in car sales and on my feet a lot. These boots are very comfortable! The first thing that I noticed when trying on the boot for the first time was how light it is. It looks very rugged and heavy but is super light and comfortable to wear throughout the day. I also love that the boot is water repellent. 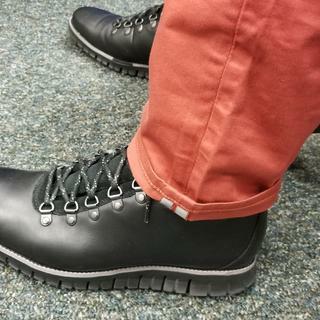 This is a great boot whether spending the day out in nature or commuting to work in bad weather. Great job Cole Haan! This is such a comfortable boot. They look good on me. I get compliments on the all the time. The best thing about these boots are that they really are waterproof. Money well spent. Don’t think! Just try it!!! Me and my husband bought 4 different shoes and all of them are so cool!!! Comfy, stylish and great quality!!! We will buy again! Great shoe, excellent craftsmanship, but I did not find the shape of the toe to be flattering. Would have preferred a more rounded toe. Unfortunately I will be returning them. I receive compliments on these shoes daily. They are extremely comfortable and look good! Like the boots. Normally a 13, these are a little snug. Fortunately I have another in 14. If you want to wear them with hiking socks, go a size up. Best boot for hiking. Extremely comfortable and very light weight. These boots are fantastic. Super comfortable and light weight. Every time I wear them I get compliments. I’ve had people on the subway ask who makes them and where they could buy a pair. They are water resistant but I also treated them with a water proofing spray. It didn’t alter the color of the leather. Cole Haan quality and very stylish. You can’t go wrong with these boots. Great fit and style. Outstanding comfort! 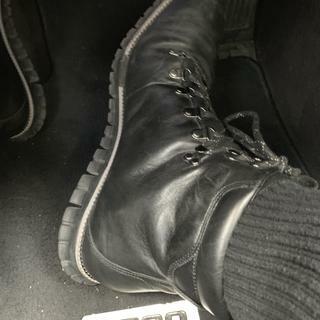 I've been wearing for 2 weeks now, and the boots feel fantastic. One of the most comfortable pair of shoes I've worn. I like this boot because it is water resistant and has a good outer sole. They are not a warm boot, but I do like them. I've been wearing zerogrand shoes for some time and find them fantastic... Looking forward to also enjoying those hiking boots. This is a gift for one of my sons....He has been talking about the brand. Perfect boots for winter, for hiking, for work plus they look good. I selected this boot for its style and design. I wanted a versatile water resistant boot for my commute. I love the style and that it has the zerogrand technology. Wanted to buy boots for winter. they look awesome and the Zerogrand is the comfiest thing to walk on! Great deal for such a cool looking boot!! Stylish design. Would have purchased two but brown was not available. My friend has them and they look really nice! Aré very confortable and my husband like a lot. third pair in a different color, love the look and feel of the boot in a dressy casual. Have them in grey and love them, very comfy and stylish! The style, quality of construction and recommendations. Live in Florida and now preparing for trip up in Canada this winter. Great style for an excellent price. I needed a book to wear in the rain. I'm going on a trip soon and wanted shoes that would be stylish and functional, whether in the city or on the trail. been waiting for these for a long time. I love my zerogrand waterproof hiker boots and my husband wanted the men version. I selected this boot ,because i have other Cole Haan shoes and boots.They are very comfortable and fit great and look marvelous. I like the style of this boot, especially the sole. Cole Hann has the best soles. I'm attracted to the style and the sole. Needed a nice pair of water resistant boots, that could be worn out to dinner, but also double as practical. Nice looking boot, with a "lightweight" appearance. I have several pairs of wingtips and chukkas with the ZeroGrand sole and I love them. As someone who's had back surgery these shoes allow me to look stylish but still do what's right for my back. I live in Seattle...always need something stylish for all of the rainy days! I own the gray version and I love them. Black was an essential buy. My first pair of Cole Haan boots, one of my best purchases. BEST ANSWER: The gusset goes to the top of the round metal eyelet, located just below the notch in the collar. What is the best product to take care of the Zerogrand water resistant boot? Do these run true to size? Normally right between a 12 and 13 depending on the brand. I will be using these for everyday work commute in the winter. BEST ANSWER: Yes, they run true to size for me. I wear a 10.5 and the 10.5 fits perfectly. I wear these boots constantly. The hiker boot runs true size. It's very light and comfortable. Good look with jeans. I have a 9. But in case of the Cole Haan I usually buy 9,5 and it fits perfect. Yes, I wear a 10 in Nike and that equals a 10 in Cole Haan. BEST ANSWER: The top is approximately 6 inches from the floor. I’m not with it so that I can measure it now, but it rises to just above my ankles. Hope this helps. Super comfortable. Measurements vary slightly by size, but generally speaking, chukkas are about 5"- 6" in height from the footbed. It's about a mid-rise. Fully covers my ankle. About 5" or medium height. Is the insole lightly glued in to allow me to remove easily and replace with my orthotics? Or is it permanently attached? BEST ANSWER: The insole can be removed. I removed the insole to replace it with a Protalus insole and it fits perfectly. BEST ANSWER: I wont say anti_ slip however the boot does provide good traction. The soles on these boots are very soft and do not seem to slide around on slick surfaces. No better than comparable boots.